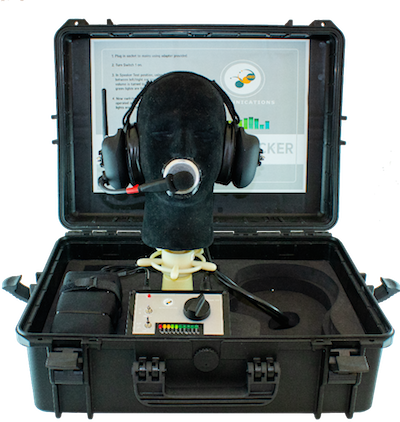 Then Try our Endaxi, Headset Functionality Tester! The Endaxi system has been designed to support Ground Handling companies with the ability to reduce no fault founds (NFF’s) at the users’ facilities. dBD Communications recognises the importance of equipment readiness and this system will improve the availability of headsets used during Ground Handling operations. To use the equipment, most headset types, wired or wireless are supported and the audio equipment is placed on the head provided. A simple switch box is used to assess the serviceability of both the speakers and microphone in the headset assembly and this can be completed within under 60 seconds.